A good pair of Police boots is probably the most important piece of equipment an officer will have to buy, so choosing the right style is essential! We've brought together a selection of patrol footwear from a range of the best Police and Military boot manufacturers in the industry. 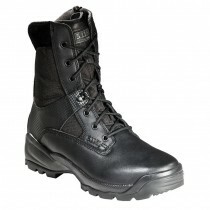 Whatever you are looking for - waterproof Police boots, safety footwear, high specification 'SWAT' style tactical boots or simply some low-cost patrol boots, we've got something for everyone.